Oh, Berlin. 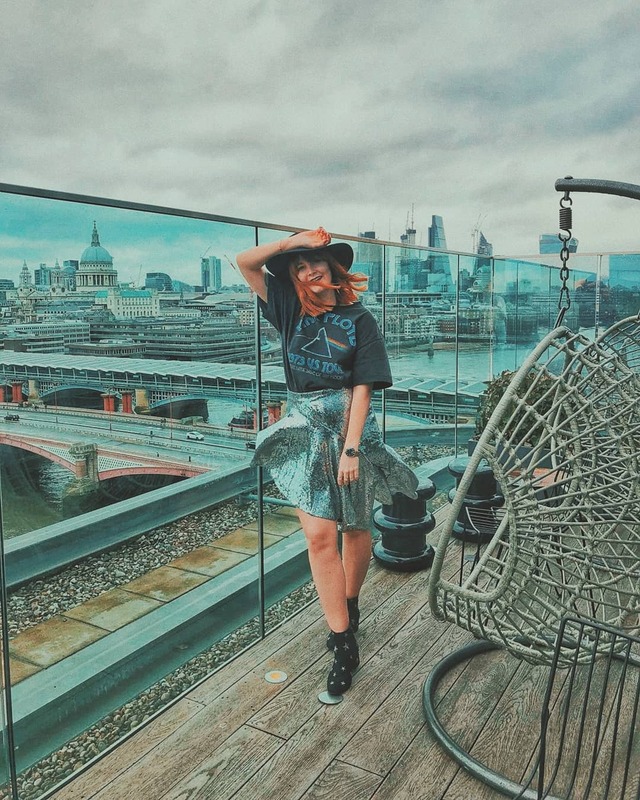 The German capital is one of my favourite cities in Europe, but deciding on where to stay if you're heading there for the first time can be a tad overwhelming. I mean the city itself is huge as it is home to nearly 3.5 million people and has hosted over 31 million visitors over the past year alone. 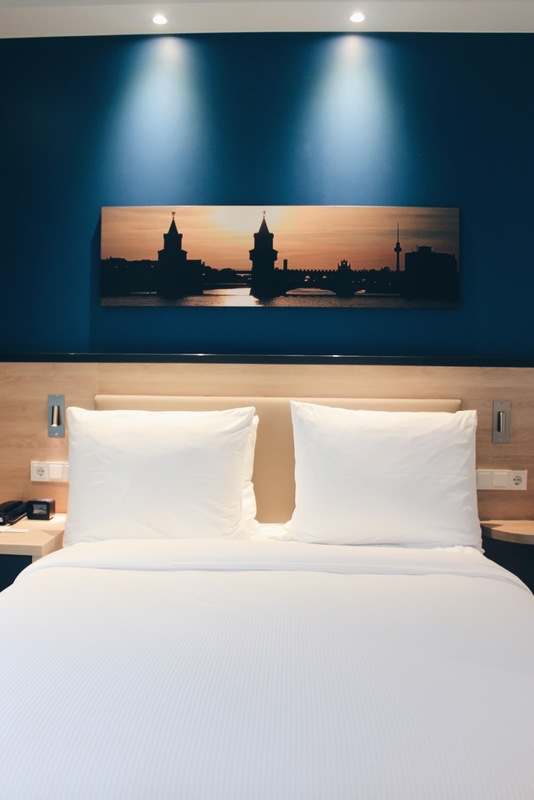 If you're heading to Berlin for the first time, a central location hotel with good transport links is important until you get to grips with the city. 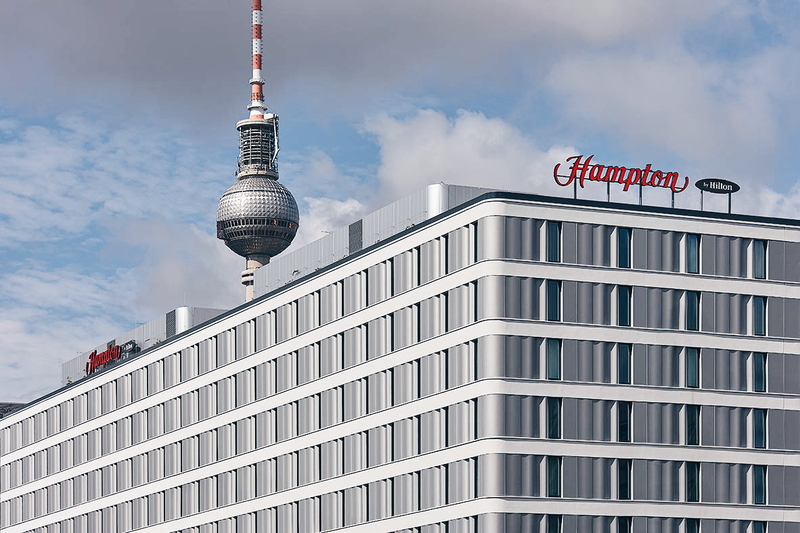 During my recent visit to Berlin with the Chamäleon Theatre, I stayed at the Hampton By Hilton hotel, which is just a stone's throw from Berlin's Alexanderplatz. Before my recent trip to Berlin, I had never actually stayed in any form of Hilton hotel before during my travels, so this was a first for me! 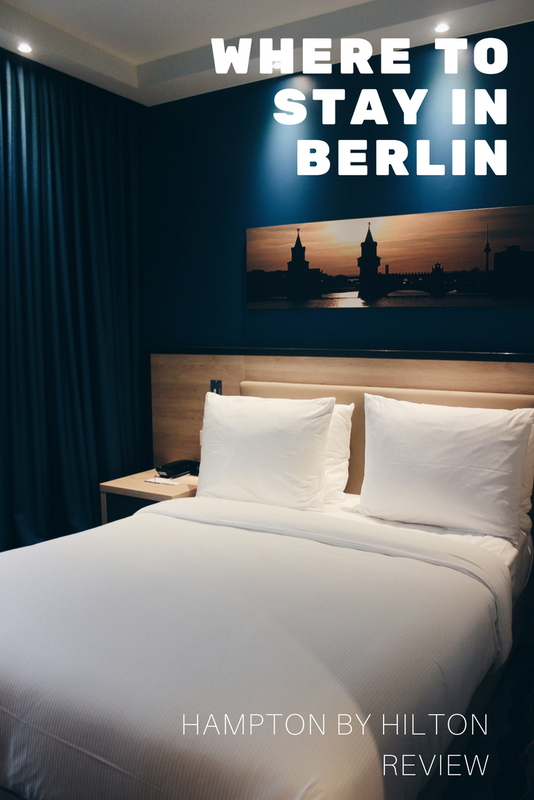 The Berlin hotel happens to be relatively new, having only opened in May 2017, and is the world's largest Hampton By Hilton property boasting 344 rooms. 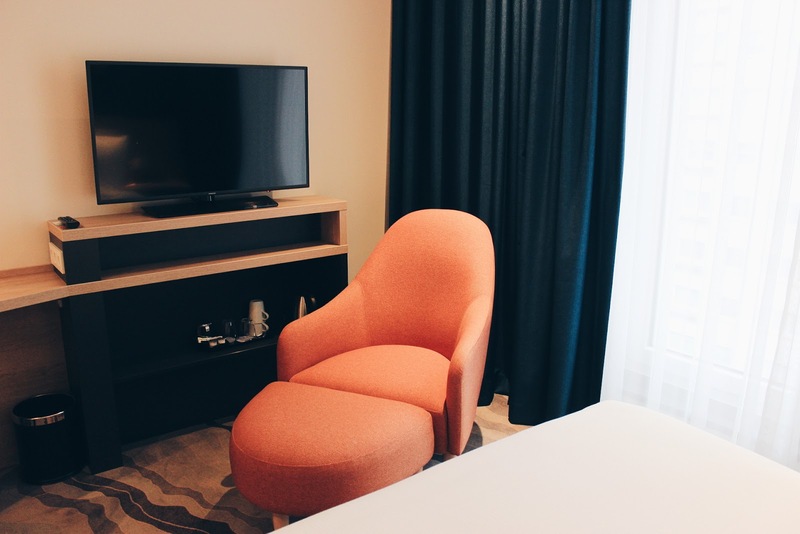 The location of the hotel couldn't be any more convenient for a first-time traveler to Berlin as it's tucked just behind Berlin's famous Alexanderplatz square in the city centre. It's surrounded by some of the city's most famous and notable attractions including the TV Tower, the Brandenburg Gate and Museum Island, which are all within easy walking distance. Whilst the hotel isn't directly on the Alexanderplatz square itself, it's located a few streets behind meaning it's tucked away from the crowds and the noise which can get a little hectic during busy periods. 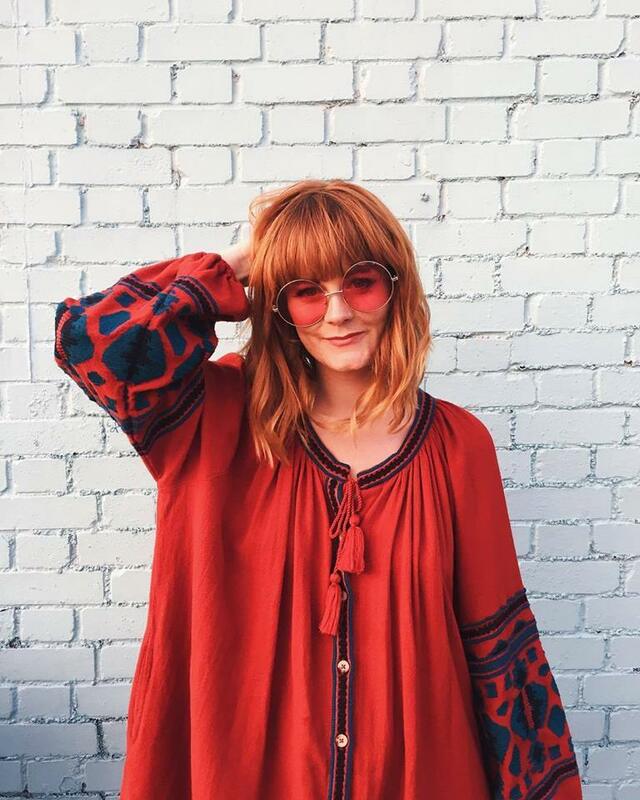 It's also less than a 10-minute walk from the metro station and there's a tram stop located directly outside, so the hotel is easily accessible for tourists who want to explore the rest of the city. I'm not entirely sure what time check-in is at the Hampton by Hilton Berlin, but I arrived a little after midday and was allowed to check in straight away, which was very much appreciated as I had been awake since 3am to catch my flight. 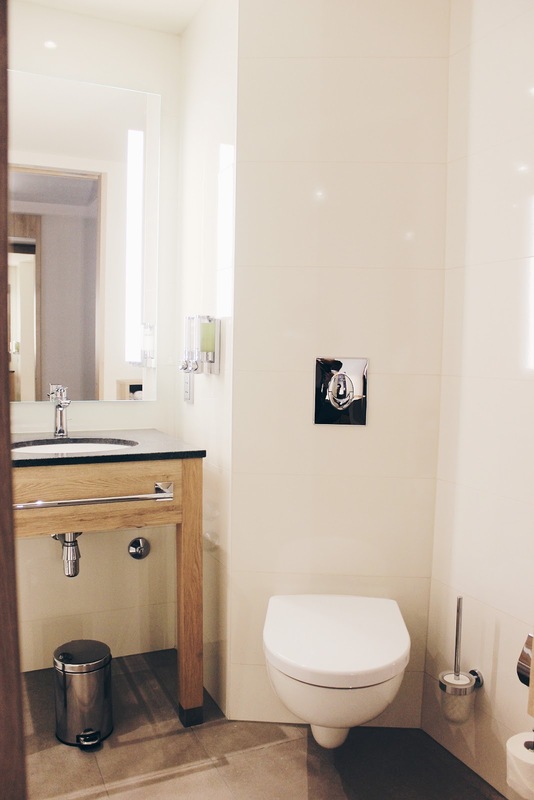 Whilst the rooms aren't pretty simple in terms of visual aesthetic, they're relatively spacious and functional. Most importantly, the bed was extremely comfortable with huge pillows that was perfectly to crawl into after a long day roaming the streets of Berlin. 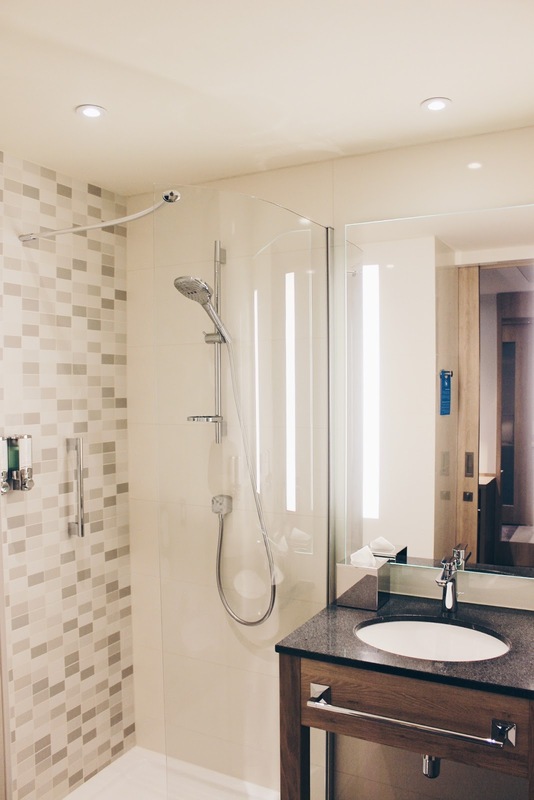 The bathrooms are bright, clean and the shower was easily adjustable in terms of both temperature and pressure. The amenities in the room include toiletries (which was handy considering I did actually forget my shower gel), tea and coffee making facilities, free wifi, laundry service, a 40-inch smart TV and a large workspace. Although I was by myself, the room is a perfect size for either a couple visiting the city or someone on a business trip. 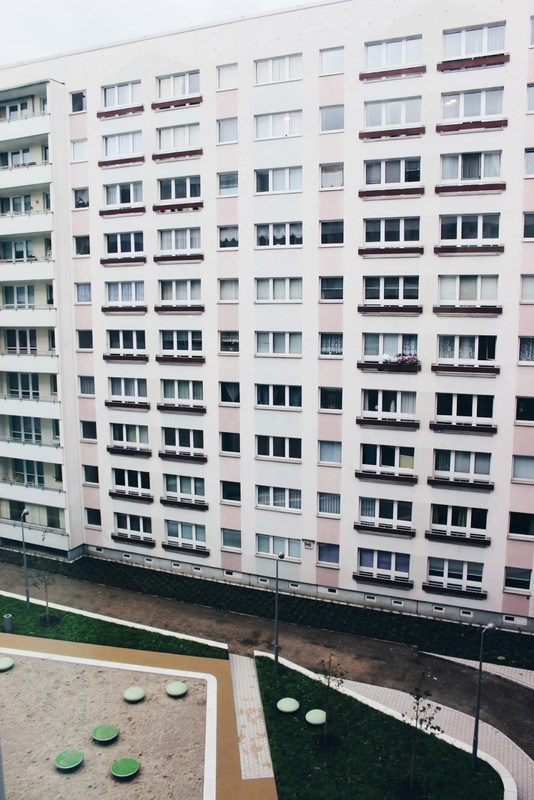 The windows are full-length, letting a lot of natural light into the room and mine was facing another pastel pink building and looked over a courtyard. Whilst the building opposite may feel a little invasive, there's the option to pull across some net curtains and as well as some 'black out' curtains. 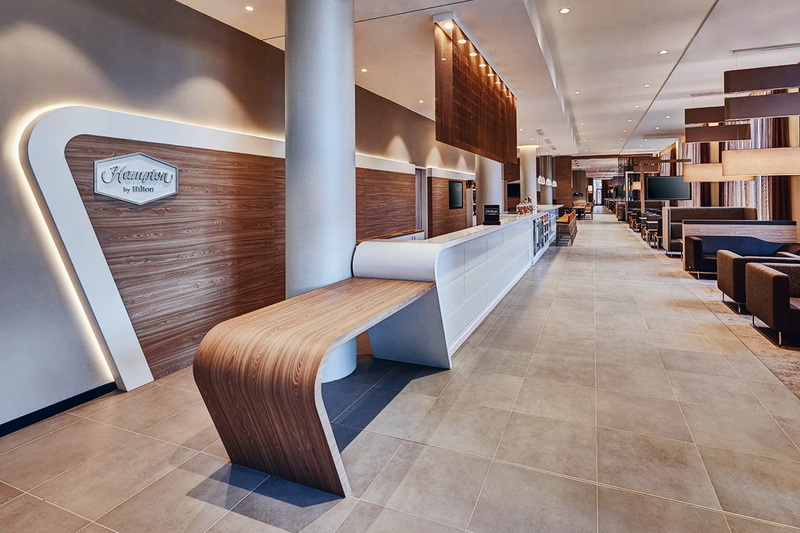 Every booking at the Hampton By Hilton hotel includes a complimentary breakfast from their buffet, which is served every morning in the ground floor dining area. They have taken into account the number of guests that will be at breakfast as the dining area is absolutely huge and I easily managed to find myself a table during their peak hours on a Sunday. 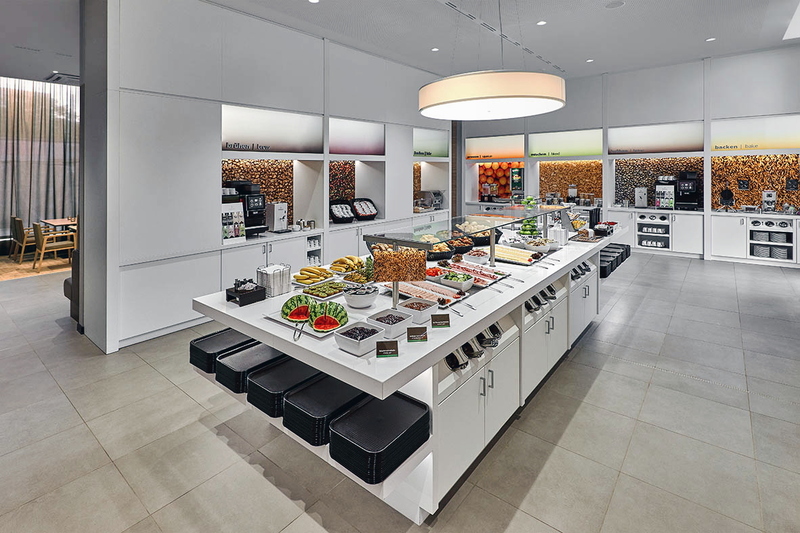 The breakfast offers everything from to cereal to fresh fruit to some more continental choices. As a self-confessed enthusiast of hotel breakfast buffets, I was pretty excited to see that the Hampton By Hilton breakfast selection even includes a waffle press where you can make your own fresh waffles topped with sprinkles! Whilst there's no dinner menu in the hotel, it does offer a 24/7 option of snacks and drinks at the bar just near to the reception. 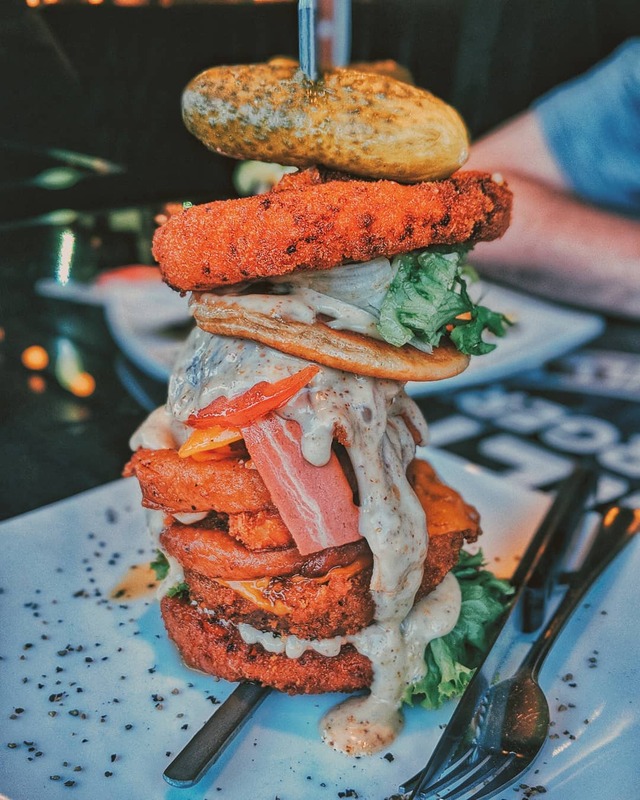 However, if you are feeling peckish outside of the breakfast hours, there are plenty of food options right on your doorstep and within walking distance - I personally recommend Lily Burger, which is around a 10-minute walk away from the hotel and serves up the filthiest vegan burger I've ever tasted! The hotel also offers a fitness centre for guests, which includes cardio equipment and a selection of weights. I actually only found out about this additional amenity after my trip, so I didn't actually get to see or use the gym. However, I did only stay the one night and was feeling a little worse for wear on the Sunday morning, so even if I had realised there was a gym available to use, I would have still probably have given it a miss. Throughout my stay, all of the staff that I encountered were incredibly helpful, considerate and kind. I was particularly grateful for the luggage storage facility that the hotel offers, which meant that I could leave my bag at the hotel after I checked out in the morning and was able to pick it up in the evening before my late night flight. Prices for the Hampton by Hilton Berlin start from just €79 for a double room and can be booked online here. Address: Otto-Braun-Strasse 69, 10178 Berlin, Germany. Disclaimer: I was offered a complimentary stay in exchange for an honest review. All words and opinions are my own. We've been thinking about going to Berlin :) This hotel looks amazing, I'll have to seriously contemplate it. I love Berlin, this hotel is in such a great location! Looks like a really gorgeous & modern place to stay! I love that chair! I've stayed in Berlin in the past. Oo this place looks stunning, really modern yet comfortable and I love the idea of making my own waffles for breakfast! I love the aesthetic of this hotel. I still haven’t had the chance to visit Berlin but would definitely look at this hotel if I plan a visit here!